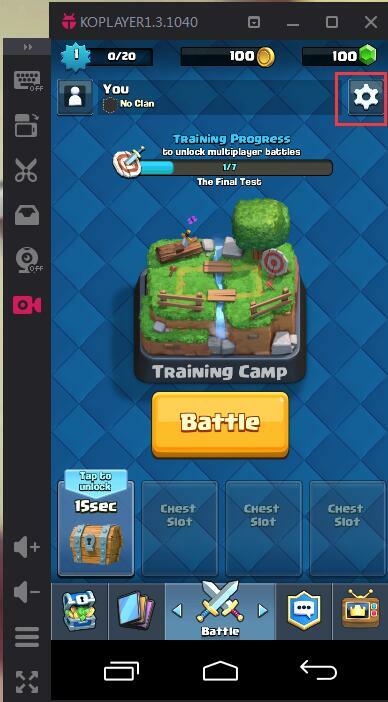 KOPLAYER Forum » KOPLAYER -- Android Emulator on PC (Windows/Mac) » General Discussion » How to Link Clash Royale iOS/Apple Account to Android Device? 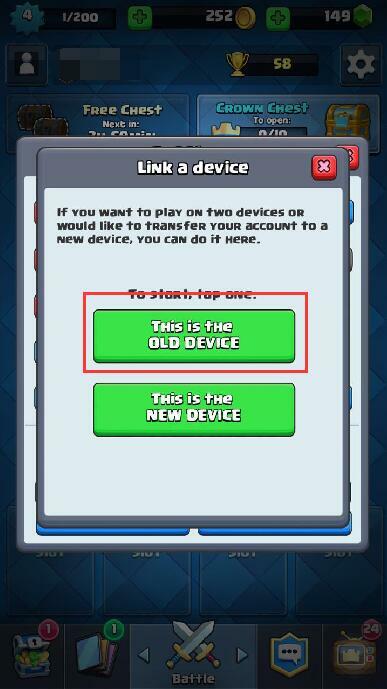 How to Link Clash Royale iOS/Apple Account to Android Device? 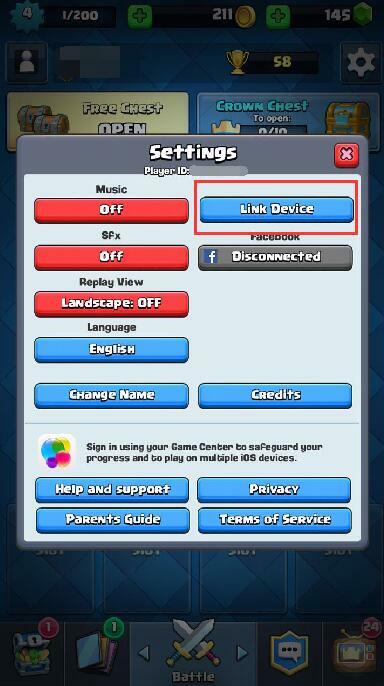 - How to Link Clash Royale iOS/Apple Account to Android Device? 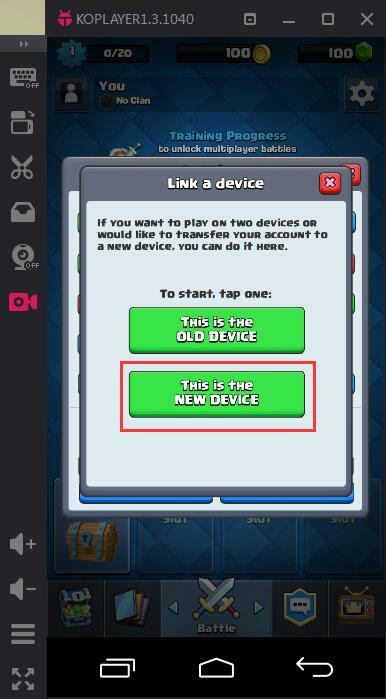 How to Link Clash Royale iOS/Apple Account to Android Device? 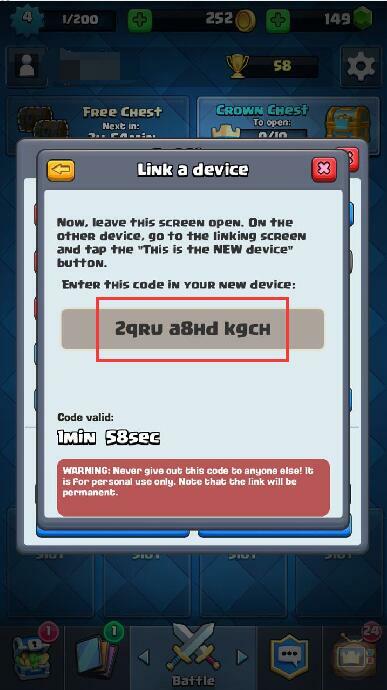 Note: iOS account can relate to Android device only ONE TIME and CAN’T REMOVE. Here are some tips to relate your iOS/Apple account to Android devices. Of course, you can follow it to relate Android to iOS, Android to Android, etc. Step 1 Open your phone which has kept your game data. 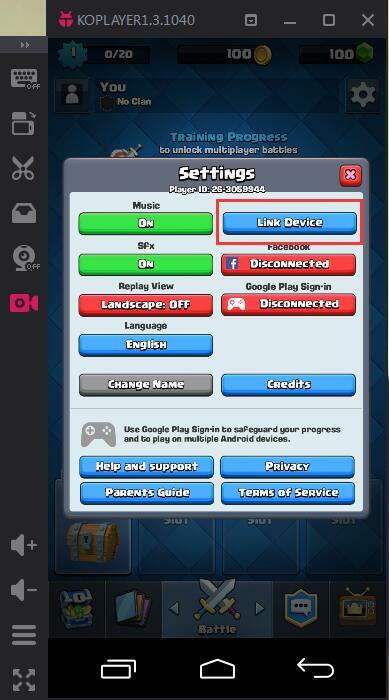 And click "Setting - Link Device"
Choose "This is the old device"
At here, you can choose to link another Android device. 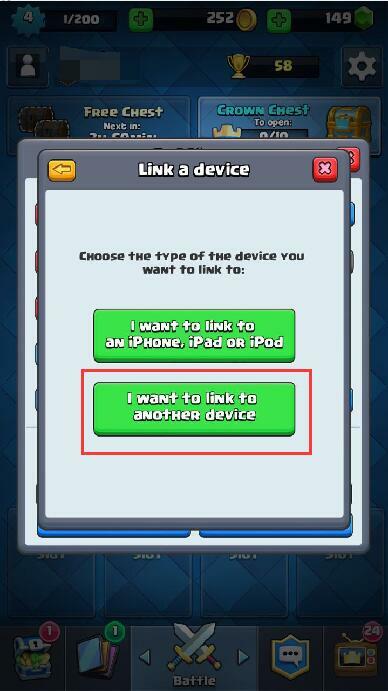 Of course, as mentioned, you can link to another iPhone, iPad or iPod. 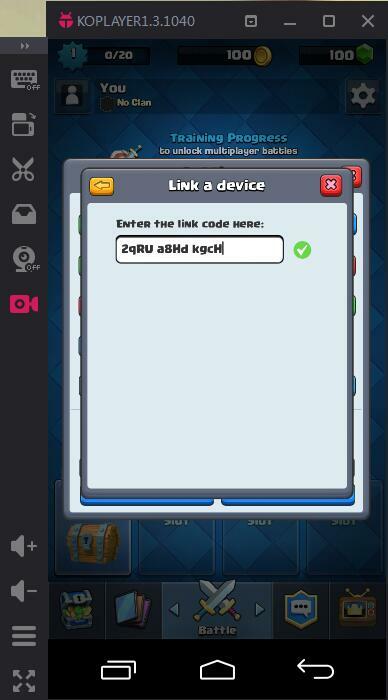 Now, the screen will show your a code. Pls do following step in two minutes. Step 2 Download and install KOPLAYER or open your Android device. Then, run Clash Royale. Find Setting, and repeat previous step. Attention! "This is the NEW DEVICE." Don't choose another selection. Type the code we get in Step 1. Now, the data are same on your devices! This page was generated in 0.408 seconds.